MTM hosted their annual Red Ball Championships on Sunday, with 40 children from all over the island competing in the event. “Red ball is a great way for players to start out in tennis and is for younger players. It is played on smaller courts with shorter rackets and softer balls,” Gavin Manders explained. “It’s just like the real game and gives players opportunities to have long rallies and play different types of shots. The ball is 75% slower than a yellow ball, which has been developed to make it easier for beginner and recreational children and adult players learn the game, and thus enhance their enjoyment of tennis. 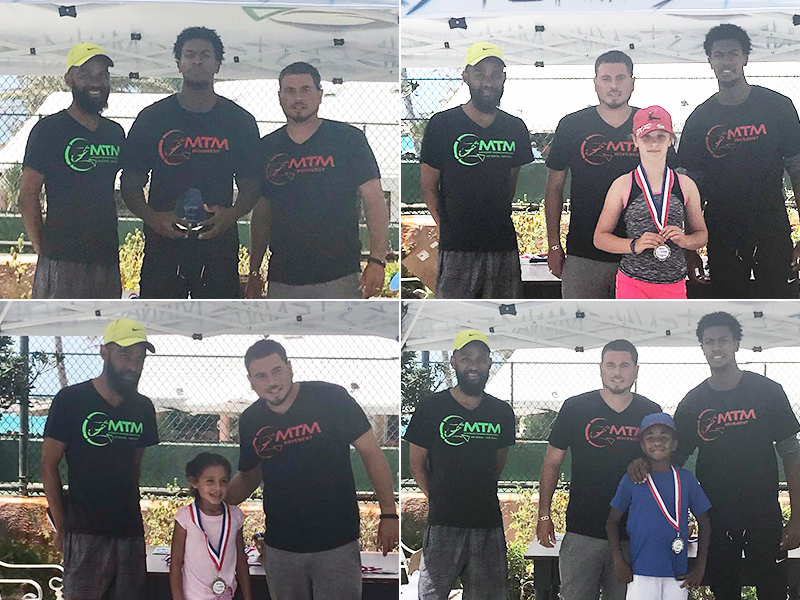 “The main goal of the MTM Movement is grow the game of tennis in Bermuda, from the grass roots and elite junior levels so that there is bigger crop of players for the future. “We had top local juniors who were helping umpire the games, so that the children got to interact and meet Bermuda’s best, and hopefully get inspired. It’s also a great teaching tool for our top juniors to interact and learn how to give back to the generation under them, so we can truly help build a development plan that can sustain itself long term.